Why the price of gold is headed to the moon! 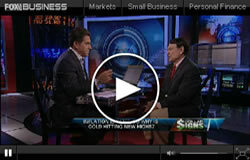 The price of gold is destined to rise to many thousands of dollars per ounce. We are experiencing the second leg up of the greatest gold bull market in history. Why? Actually gold is not rising in value. An ounce of gold is the same now as it was 5,000 years ago. But the dollar has lost more than 93% of its purchasing power since the Fed was created 105 years ago. Every day the mainstream media is attempting to keep you in the dark, down on the mushroom farm so that you will keep behaving in a way that profits Wall Street's ruling elite. 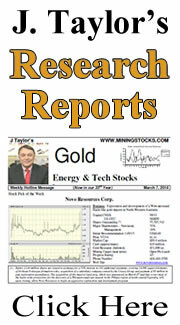 To counter that, Jay Taylor, Editor of J Taylor's Gold Energy & Tech Stocks, combs the Internet in search of articles that shine a floodlight on the truth about why the economies of the world and the US dollar is doomed and why you MUST exchange as many dollars as possible NOW for gold! Tune into Turning Hard Times into Good Times with Jay Taylor, Every Tuesday at 3 PM Eastern time, on VoiceAmerica Radio Business network. Archived audio is available any time for your convenience. See Jay live at conferences to hear his economic forecast, tell why gold is an important investment, and gain valuable insight into investing in precious metals, energy and more. How Have Your Investments Done Since 2000? 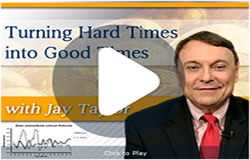 From Jan 1, 2000 through Feb. 16, 2017, Jay's Model Portfoliogained 216.1% while the S&P 500 gained 175.9%Subscribe to J Taylor's Gold & Technology Stocks to learn how you can beat the market this year and beyond.